Over the last week I have seen several patches of Butterbur in flower, usually along river banks in the Peak District. I took these photos yesterday from the Derwent Valley Heritage Way footpath between Calver and Baslow. As with all of the spring flowers this year it is late coming into flower. Butterbur is a member of the daisy family and has been used for centuries in folk medicine for a wide variety of illnesses. It has been used as a muscle relaxant, and to treat fever, coughs, headaches, wounds, stammering, asthma and stress. Not all these uses are supported by scientific research. After all that cold weather and snow it is lovely to see some spring flowers starting to appear in the Peak District countryside. Yesterday we saw some lovely Celandine on a grassy bank near to Hope. 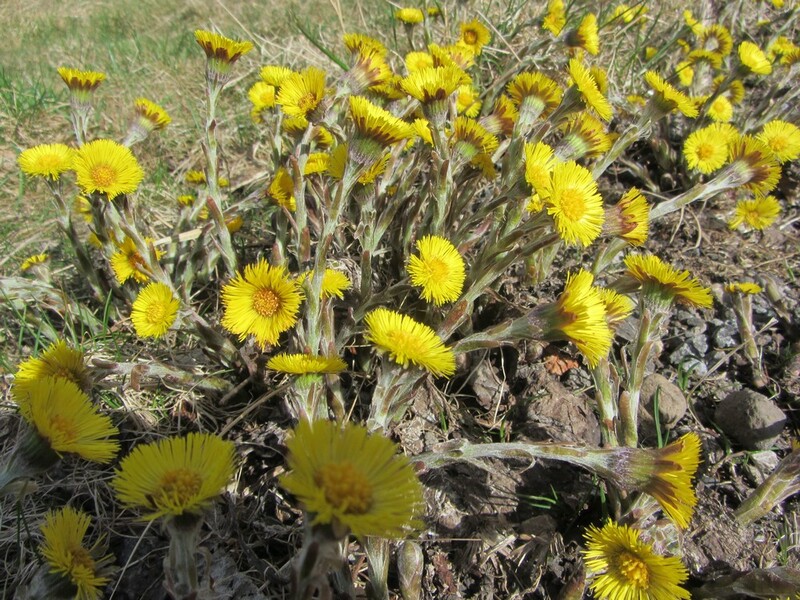 This afternoon we passed this patch of Colt’s Foot on the side of Ladybower Reservoir. The plant gets its name because the leaves, which appear after the flowers resemble a colt’s foot in cross section. In years gone by, the plant was used in herbal medicine, but it has now been discovered that it can cause liver problems so is no longer used. Yesterday was our first ‘Spring Flowers’ walk of the year and what a treat we had in Deepdale and Great Shacklow Wood! Deepdale is designated as a Site of Special Scientific Interest because of the rich variety of flora that thrive in its limestone soils. It is owned and managed by the charity Plantlife International. 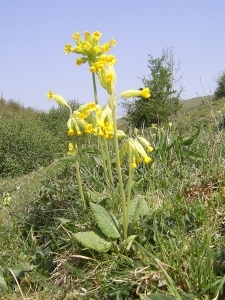 There are said to be over a million Cowslips in the dale. We didn’t count them yesterday! Having seen the carpet of delicate yellow flowers up the side of the valley though, I can well believe it. 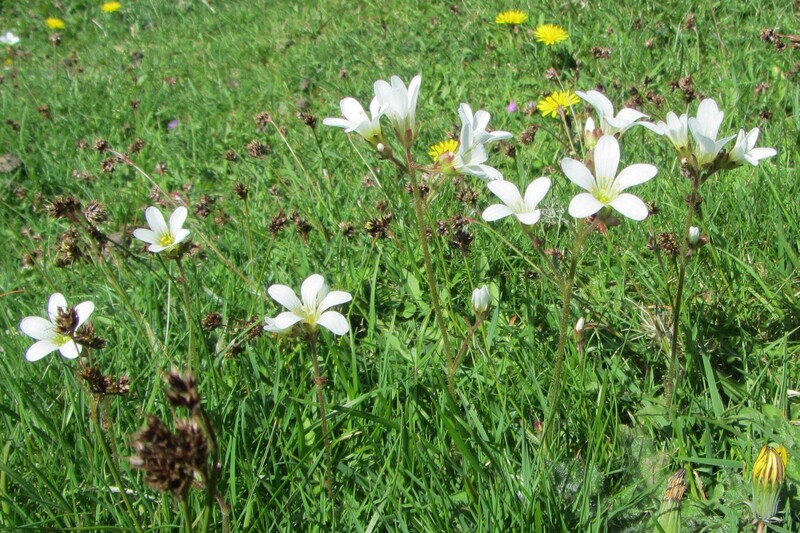 Early Purple Orchids were also out, and other pretty flowers such as Meadow Saxifrage, Greater Stitchwort, Speedwell, Wild Clary and Water Avens. Returning through Great Shacklow wood we saw Bluebells, Wood Anemones, and just coming into flower were Lords and Ladies. Here are a small selection of the beautiful spring flowers that we have seen on our walks in the Peak District over the last few weeks. They have all been late this year due to the exceptionally cold winter, but bluebells are now just starting to come out, and pretty white flowers such as Wood Sorrel, and Wood Anemones are carpeting the floors of shady woodland areas. There should be more to follow as we move into May!